Your iPhone and iPad may one day alert you to special offers at stores you're visiting or are near. 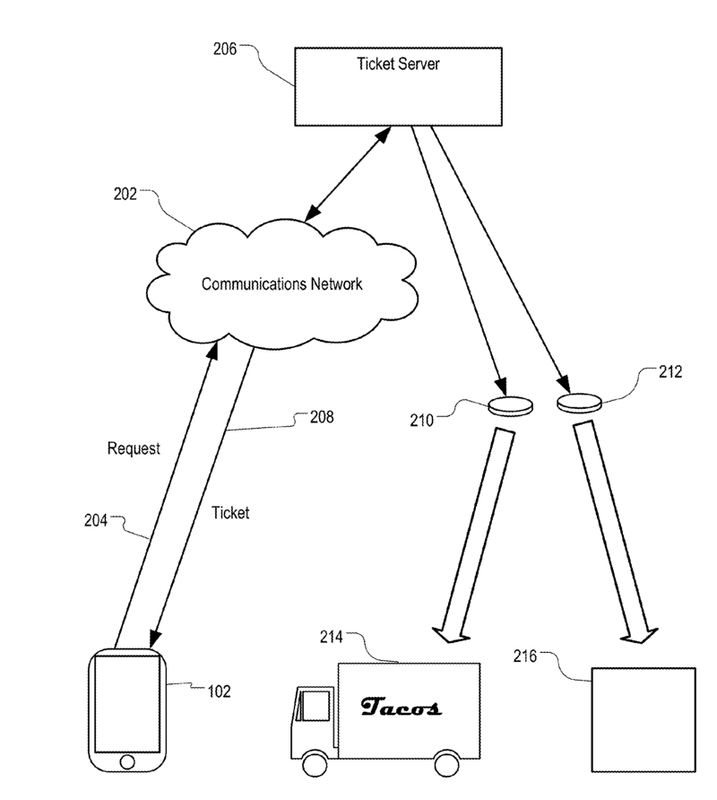 The company has been granted a patent (number 9,125,014) for "location-based ticket books." It most likely involves the Wallet app in iOS 9 that's replacing the current Passbook app. According to the patent, an iOS device can present a virtual ticket to a service provider based on a location of the device. The device can receive a virtual ticket for accessing a service from a service provider. The virtual ticket can be associated with a signal source. The signal source can be pre-programmed to broadcast a beacon signal that includes an identifier identifying the signal source. The signal source can be placed at a venue where the service is available. The mobile device, upon arriving at the venue, can detect the beacon signal from the signal source. In response, the iPhone or iPad can activate a ticket manager. The ticket manager can automatically select, from a ticket book, the virtual ticket associated with the signal source. The iDevice can present content of the selected virtual ticket at the venue where the service is available. The goal is to allow you to use your iOS device to buy a ticket, accept a coupon, or add a gift card from a service provider (e.g., an airline, a movie chain, a coupon-issuing shop, or a restaurant). In response, the service provider can issue a virtual ticket by sending an electronic message (e.g., an electronic mail message) to the device. The iPhone or iPad can prompt you to add the virtual ticket included in the electronic message to a ticket book. The ticket book can store your virtual tickets, (e.g., boarding passes, movie tickets, retail coupons, loyalty cards) on the iOS device. When you arrive at a place where the virtual ticket can be used, (e.g., a flight gate, a movie theater entrance, or a shop) you can launch an application program that manages the ticket book service. The iPhone or iPad can display all virtual tickets stored in the ticket book for selection. You can select a relevant ticket. The application program can display the user-selected ticket on the mobile device, for inspection by a ticket reader machine or a person.